Last month we saw a good airfare deal we couldn’t refuse. A round-trip ticket from the west coast to Kenya was under $900. We are going to climb Mount Kenya in January. We are also thinking of going to Thailand, Laos, Vietnam, and possibly Cambodia some time. I have never been to Africa or Laos and Vietnam. Going there requires getting some vaccines. CDC does a great job in listing the recommended vaccines for each country. After getting a list of all the vaccines I needed and comparing with the ones I already had, I knew I still needed vaccines for Hepatitis A, Typhoid, and Yellow Fever. I had to figure out where to get those vaccines. My first stop was of course our primary care doctor. I sent her a message using their online system. She replied saying I would have to go to a separate travel clinic within their health system. I got the inkling this would not be normal preventive care even though the vaccines by definition were for preventing diseases. If it was not preventive care I would have to pay 100% because I have a high deductible. Then there was no point in going to their travel clinic because everything within their integrated health system is vastly overpriced. Next I called the insurance company and asked whether travel immunization was covered under preventive care in my policy. Customer service told me it was not covered at all. Later I dug up the written policy. It was listed as one of the specifically excluded items. I remembered seeing pharmacies advertising vaccine shots besides just flu shots. I went to Walgreens and CVS. Walgreens has a designated store in the local area that does travel immunization. CVS does it through its walk-in clinics. Both could do Hepatitis A and Typhoid shots. Walgreens gave me the prices over the phone. CVS posts its prices online. Yelp also showed a local travel medicine clinic and a national chain that offered travel immunization. I called them. They also gave me the prices. I had to call all those places because none of the pharmacies and travel clinics had Yellow Fever vaccine. Later I learned it was due to a shortage from the vaccine manufacturer. CDC has a list of places that have a substitute vaccine. One of them near me is the county public health department. If it wasn’t for the vaccine shortage, I never would’ve thought I could get health services from a local government unit. It turned out in addition to having the substitute Yellow Fever vaccine, they provided other vaccines as well. The vaccines were not free, but the prices were 30-50% less than the pharmacies and the private clinics. They don’t take insurance but my insurance doesn’t cover travel immunization anyway. So I got up early one morning and arrived when they opened at 8:00 am. Only one person was in front of me. A nurse thoroughly went over the infectious diseases in the countries I was planning to visit before she gave me the shots. It was a great experience. Government-provided healthcare wasn’t that bad after all. Of course not all county public health departments provide this type of service. It’s worth checking if your insurance also doesn’t cover travel immunization. Great post, thank you. I am bookmarking it for when I need travel vaccinations. One question: are you going to purchase medical insurance when traveling overseas? I believe ACA policies do not cover overseas travel? We are not planning to buy medical insurance when traveling overseas. If we need medical attention we will pay out of pocket. We have evacuation insurance. That makes sense. Which company did you purchase evacuation insurance from? We get Emergency Evacuation and Transportation coverage from Bank of America Premium Rewards card. Great info, thanks for posting. Because your insurance doesn’t cover these vaccines, does that also mean that these payments to the government clinic won’t count toward your deductible? They won’t count. It doesn’t matter to me because I don’t expect to meet the deductible anyway. Whether I have $1,000 or $1,500 counted toward a $5,000 deductible makes no difference. 17,057 ft seems pretty ambitious. It’s higher than I’ve ever climbed. I wish you luck! I hope you write up a trip report when you return. I think there’s an In & Out burger up at the 15,000 foot mark. I’m going to stop at Point Lenana (16,355 ft). Going to the highest peak requires technical climbing. It takes about a week to go up and come down. In a typical Africa trekking arrangement, there will be a big supporting team going with us. They will set up camp and cook food. I won’t be surprised if they will carry a propane tank up. Neat article. I thought it may be helpful for the readers to know that it may be beneficial to shop around for other vaccines, not just travel related. I can share two examples. I practice in an internal medicine office. We see a majority of Medicare patients. Medicare will not reimburse us for tetanus vaccines, including Tdap for example. It would cost the patient $250 to get the vaccine from us. We refer patients to the hospital’s outpatient retail pharmacy to get tetanus vaccines for approximately $60, or to the local health department for $45. Outpatient pharmacies affiliated with large hospitals can often get medications or vaccines for cheaper than the retail chains and sometimes even better than the big discounters like Sams or Costco. We also frequently encourage patients to receive their shingles vaccines from their retail pharmacist. Medicare Part D will most likely cover the cost of the shingles vaccine better through the pharmacy than the prescribers office because that vaccine was originally set up to be billed that way. This was definitely true with the older Zostavax vaccine, and I think it will hold true with the new shingles vaccine that came out earlier this year (Shingrix). 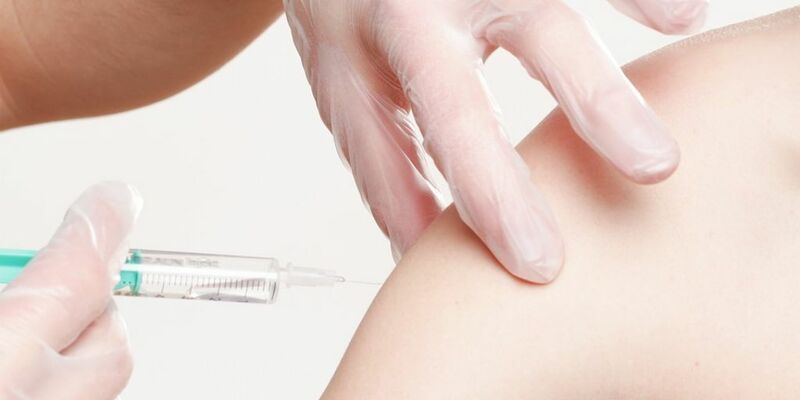 This could be verified through the insurance’s formulary or plan document, or by asking the pharmacist to run a test claim – in most states pharmacists can give vaccines under standard protocols without prescriptions. It certainly pays to shop around but I would encourage everyone to save documentation of the vaccines both for their primary care providers but for your own records – it is much easier to refer to your own list of vaccines and medications than relying on your physician’s office. I don’t care much for this post. Doesn’t seem relevant to personal finance..
We are going to Vietnam and are going through https://www.passporthealthusa.com for vaccinations (Typhoid is the only one missing). My understanding is that insurance doesn’t cover the shots but its no matter, I need them. I was trying to see what County Public Health Dept you went to, i can seem to find any that give the shot. I need yellow fever and cholera. Like u said that have a substitute vaccine for the yellow fever. Maybe i can call your health dept and they can give me information as to where i can call and get it at a lower rate. The CDC has a list of locations where you can get the substitute Yellow Fever vaccine.